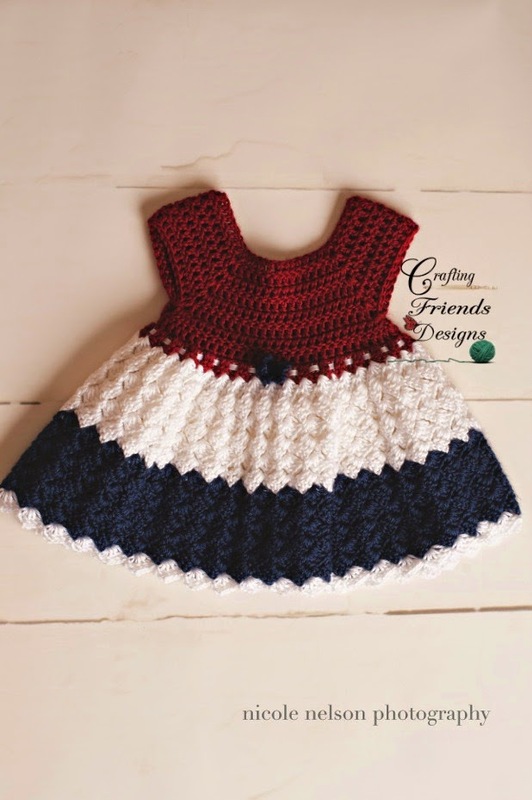 A little over 3 years ago, I designed my 6 Basic Infant Dress crochet patterns. The Diamond, Ribbon & Lace, Baby Tay, Shell Brook, Oh Snap and Snap Dragon dress collection was a huge hit as soon as I showed photos on Facebook. 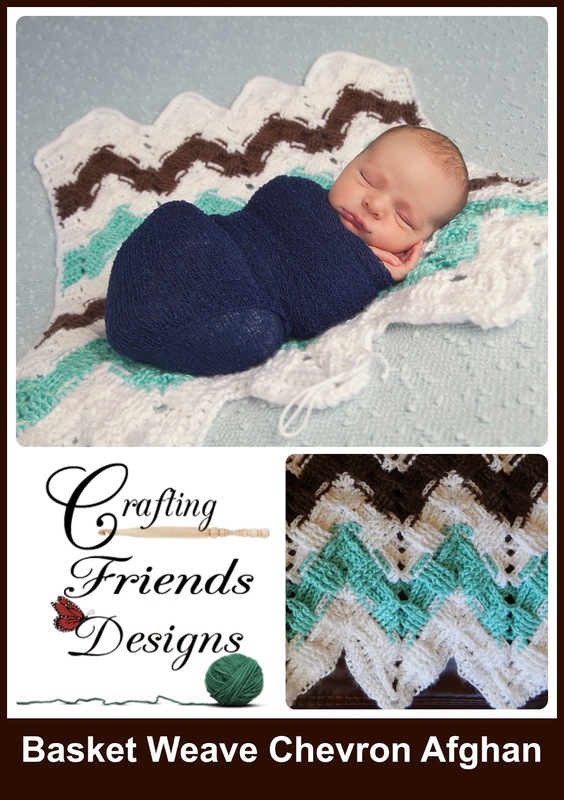 I had only made them in a newborn baby size and had only written the pattern down for myself. So many people asked for the patterns that I couldn't ignore it. I quickly gathered a group of about 20 ladies to test for me and we worked hours and hours making 4 different sizes in 6 different styles. I wanted to make sure that each size worked up and looked the way that I wanted it, so I actually made each dress in each size. Holy Moly that was a LOT of work! But it was an awesome feeling when we were through testing and I was able to release each dress pattern. After 3 years of crochet designing, I look back at this infant collection and while I'm proud if it, I have learned a lot and these patterns are not written to how I prefer to have my patterns now. I have started updating each design and retesting them to hopefully make them better and easier to understand. 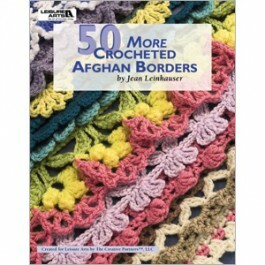 So, Are you ready for a pattern Re-Release and Sale? This is one of my girls' favorite dresses! They love the ruffle and get compliments EVERY time they wear them. 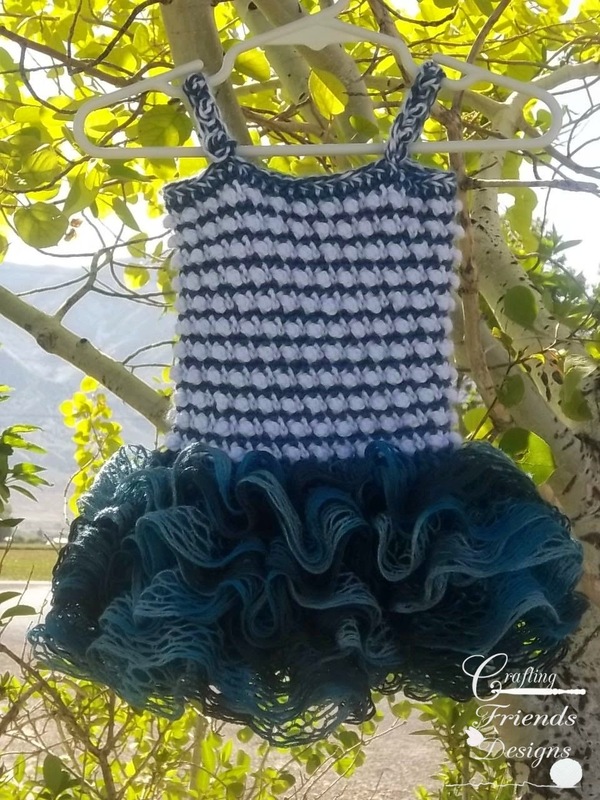 The Princess Britt dress crochet pattern has a wonderful texture to it along with the beautiful ruffles on the skirt. It is Great for Photo props! I admit, I was worried at first when I found the Red Heart Sashay yarn thinking it would be hard to work with other than making scarves. It's so pretty, and VERY simple to use! No need to stress. Monday's can be so gloomy because everyone heads back to work. 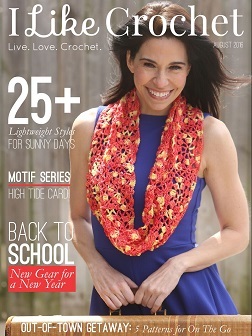 I thought it would be fun to have a Monday Madness event and offer a variety of patterns at a HUGE discount 1 day a week. What do you think? Woo Hoo!!! We have a new pattern release for you this week and I'm so excited about it. I love the look of the Basket Weave crochet stitch, but it is usually used in just straight rows or rounds. I wanted something fun and unique and was determined to design with it. Chevrons have been my "thing" lately and when that "Ah Ha" moment came, I was jumping for joy! As I've mentioned before, color is not my strength right now when releasing patterns. I have my favorite color schemes and they work well for my home and I often create new designs for friends and family using their home interior design as the inspiration for their item. While I think they always turn out beautifully, they are not always colors that speak to others from a website saying "BUY ME NOW" lol.